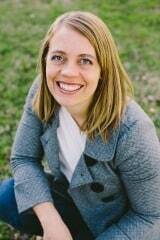 When I was a new mom with my oldest son, I noticed a milk protein intolerance that started to happen when I had milk. While he was a really good baby, he just seemed to get more gassy when I had certain kinds of milk. When he turned 1 we gave him some string cheese. About 3 mins later he threw up all over the floor. We shortly found out that he had a milk protein intolerance. This is a type of intolerance to the protein in milk. We shortly found out that he had a milk protein intolerance. This is a type of intolerance to the protein in milk. Not to be confused with a lactose intolerance which is an intolerance to the lactose in the milk. 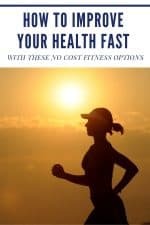 There are certain types of milk and cheese that those with a milk protein intolerance can have because the protein changes when it is cooked or aged. When my second child was born she also had milk troubles. To play it safe we ended up taking all milk and soy out of my diet. As they grew older, neither her, nor my older son, had any milk until they were much older. We had no other choice but to use alternative kinds of milk. Almond was out until they were older and there was not much variety so we ended up with rice milk which is VERY sugary, but it is good! Even though they have mostly grown out of these issues, we still have some issues here and there that cause problems. What is the best first option for milk for a child with milk protein intolerance? I wish I had a milk like the new kind of milk I just found out about. I was recently chosen to be an ambassador for the A2 Milk Brand. 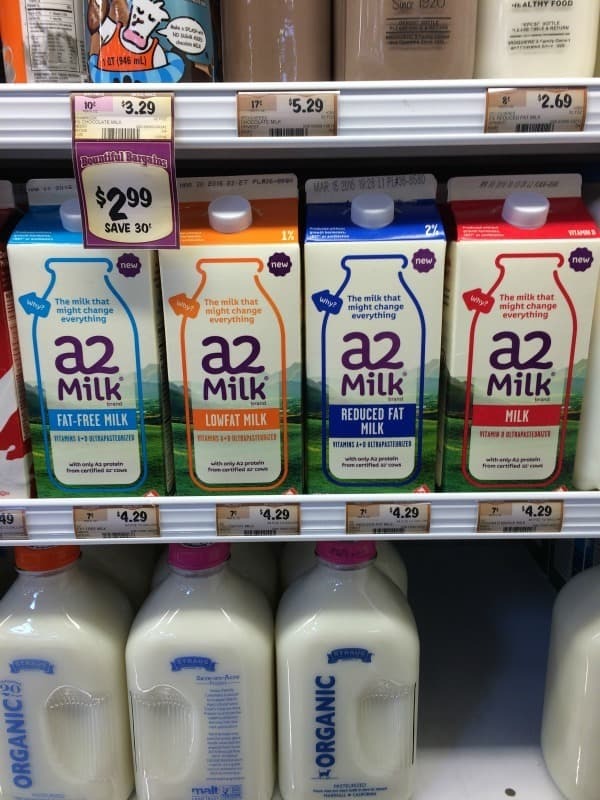 I can not tell you how excited I was to find out about A2 Milk and the A2 Milk is a kind of milk that is produced by a special breed of cows that have only the A2 protein in the cow. The A1 protein is the protein that may cause the digestion problems that are part of a milk protein intolerance. That makes it a perfect option for those with this type of issue. Lots of years ago cows were all only containing the A2 protein. Over time, like most things in the world, the cows adapted and changed. This change caused humans who drink the milk to have digestive issues. The cows that produce A2 Milk have been brought back to the protein pure state they were at before. There are many reasons I would now choose this milk over other alternative milks for my family. A2 Milk® contains approx. 6x the amount of calcium as soy beverages, approx. 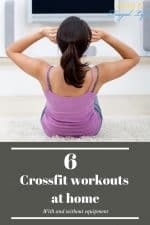 8x the protein of almond beverages and approx. 6x the potassium levels of rice beverages. This gives my family more health overall then other milks. I REALLY like that about it. That means less worry about getting them more vitamins and minerals that they are missing out. There are many more reasons this milk is great! 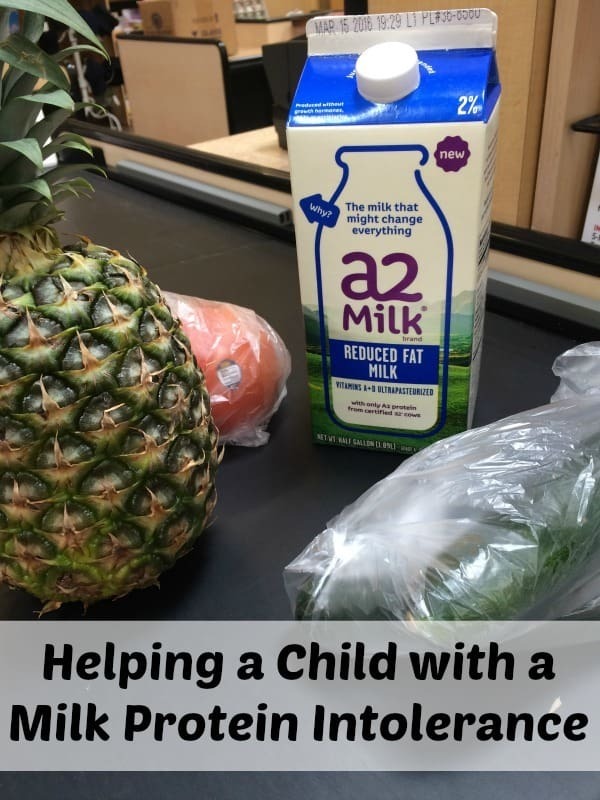 I am excited to share more things you can do with A2 milk and to help children with milk protein intolerance as I continue to be an ambassador! 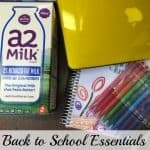 Check out where you can buy A2 Milk near you!